You might not know it, but there’s a potential top draft pick walking around campus. Jonquel Jones, a senior forward on the women’s basketball team, is projected to go high in the first round. Her impact on the Colonials over the last several years is why she’s your pick for best female athlete. 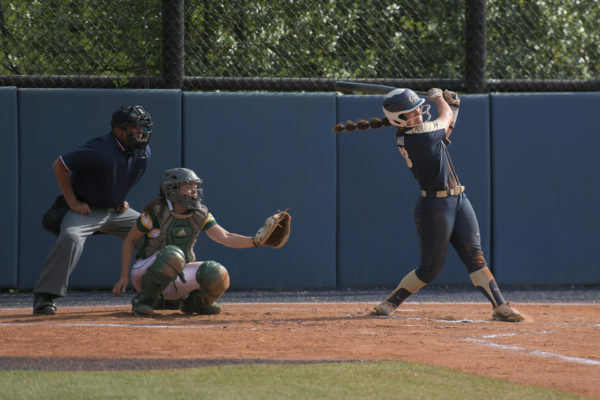 The 6-foot-6-inch prospect has been a powerhouse for the Colonials since she transferred from Clemson in 2013. 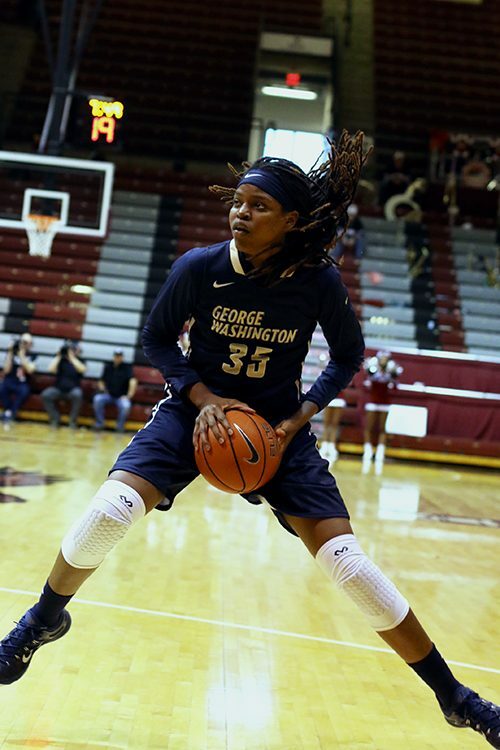 Though she sat out the first half of her sophomore season under NCAA transfer rules, Jones ranks third all-time among GW players in rebounds (961), fourth in scoring (15.4 points per game), fifth in blocks (177) and 23rd in points (1,171). She was the only player in the Atlantic 10 to average a double-double for the third straight season, leading the Colonials to a second-straight A-10 championship and NCAA tournament appearance despite missing time due to a shoulder injury. The Freeport, Bahamas native led the nation in rebounding (14.6 rebounds per game) this season where, for the second time, she was named an honorable mention All-American.